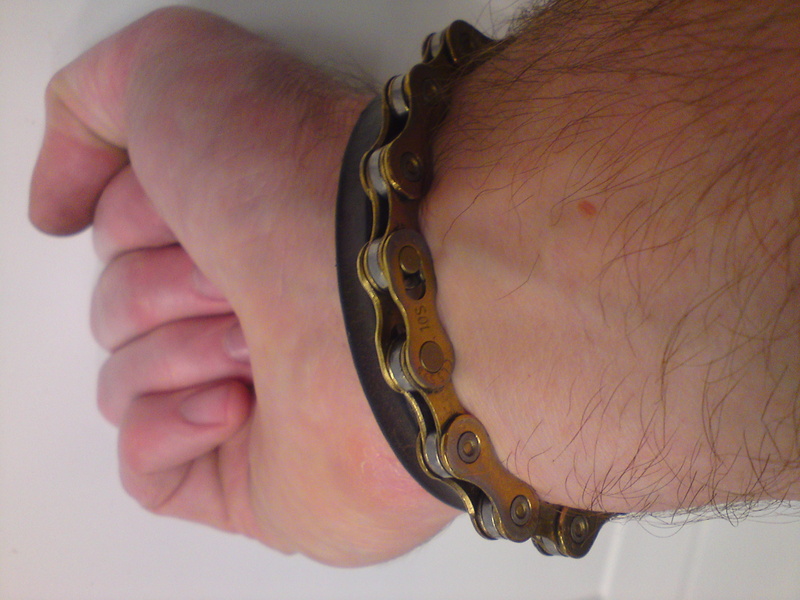 I had an urge to make a very metal bracelet out of a used bicycle chain. Initially I’d dismissed the idea, thinking that keeping a chain tool in my bedside cabinet, for whenever I wanted to put it on or take it off, might be a bit inconvenient. But then I remembered that KMC chains, my usual choice of flexible power transfer system purveyor, come with a reusable link, and the problem was solved.